IPL Laser Treatments, also called Intense Pulsed Light Treatments, l ighten, smooth, enhance and rejuvenate the skin “all over the body”. The results are nothing short of remarkable. IPL (Intense Pulsed Light) is technically not a real laser. IPL, unlike Laser, uses white light composed of many frequencies (colors of light) compared to Lasers that use only 1 wavelength (color) of light. IPL with multiple light wavelengths has the ability to effectively treat multiple problems within the skin. Your skin can appear more youthful, radiant and bright. IPL rejuvenates skin, all over the body, by painlessly using white light to penetrate into the skin’s dermis. Reduction in Erythema or redness of the face, neck or chest including the medical condition called “Rosacea”. Flushing (sporadic redness) of the face, neck and chest. 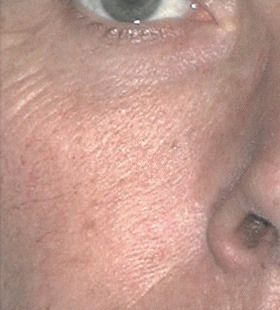 IPL remains one of the only effective treatments for this condition that causes embarrassment to many individuals. 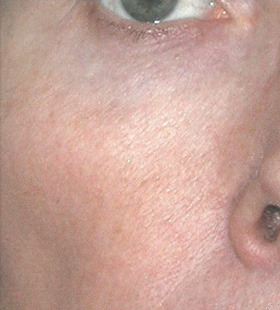 Photoaging or Sun Damage is skin that has fine wrinkles, freckling, irregular pigmentation, coarse or rough appearance, large pores and a dull texture.